The beautiful Swan chair which is inspired by Arne Jacobsen embraces the style of a swan. This chair rather than having the straight lines, displays curves and contours which provides you the right comfort and style. The Swan Chair is inspired by Arne Jacobsen. The Swan Chair inspired by Arne Jacobsen was first created in the year 1958. 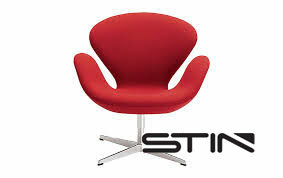 STIN’s Swan Chair is handmade and comes with the premium quality of leather or cashmere wool. You will get an array of colour choices to pick the right colour for you. Keep the chair in the lobby or keep it in the living room, the Swan Chair will surely enhance the glow of your interiors. To buy the Swan Chair inspired by Arne Jacobsen, visit https://www.stin.com/bestsellers/swan-chair.html and avail 75% discount today!